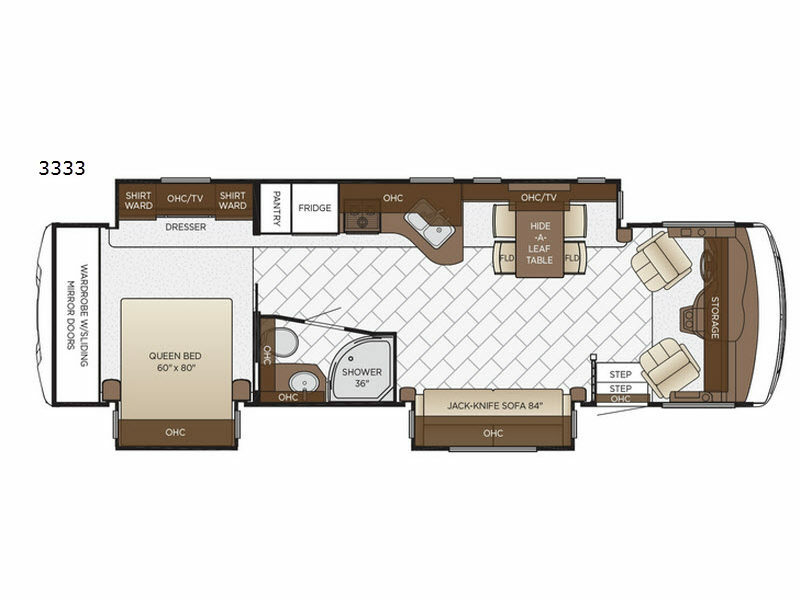 Enjoy your time away from home in this triple slide out class A motor home by Newmar. 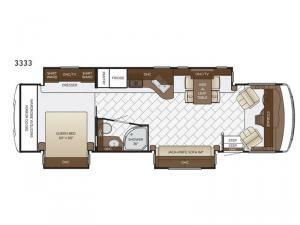 You will be impressed by the beauty and space inside this 3333 Bay Star class A. From the rear bedroom with a queen bed and a large wardrobe with sliding doors to the full wall slide out plus all of the overhead cabinets throughout there is plenty of room to camp and travel with a few guests. You can enjoy your meals at the free-standing table and after dinner come relax at the 84" jack-knife sofa. You will also find that both the driver and passenger seats swivel around for added seating space!